The Reading and Writing Workbook offers acceleration or parallel practice of the letters and early literacy, and is filled with plenty of fun practice with strong visual support from illustrations and photos. Proven success for your pre-school students. 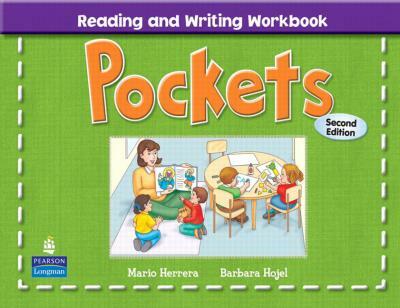 With three levels, Pockets develops English using fun activities with catchy songs and chants, photo picture cards, animal mascots, and game-filled CD-ROMs. Because it is based on the highly effective five-step teaching strategies of Warm-Up, Presentation, Practice, Application and Assessment, even the youngest children find Pockets easy to follow. So take a look. Pockets builds confidence and communication using hands-on activities that relate to everyday life, and builds a solid foundation in English that will last a lifetime. For very young learners, Little Pockets offers a fun way to begin introducing English.